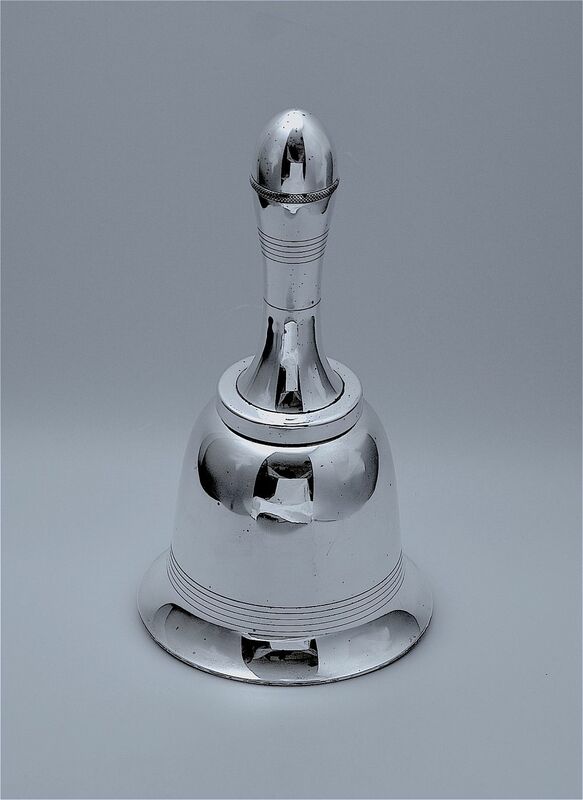 This extremely stylish silver plate cocktail shaker is by Aspreys and was made in the 1930s. In the shape of a schoolbell, the handle detaches to enable you to add your chosen ingredients. Once it is all shaken, you unscrew the tip of the handle to pour the cocktail through the integral strainer which is part way down the handle. The tip of the handle has a cork stopper to prevent spillage when shaking the bell. 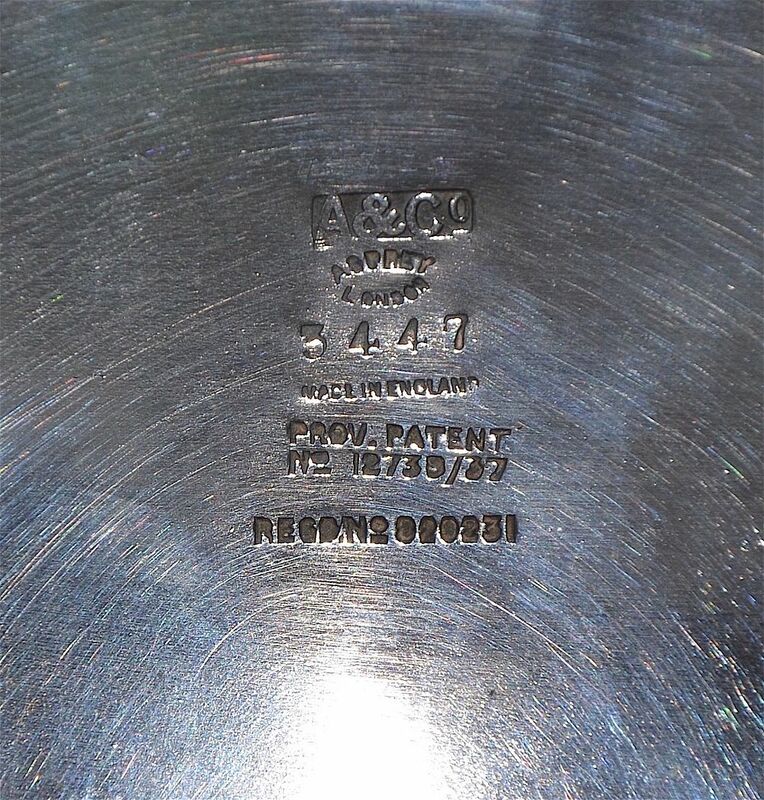 The base is stamped with the Asprey silver plate mark - a rectangular cartouche with the initials "A & Co" underneath which are the following stamped marks: "Asprey London Made in England Prov. Patent No. 12739/37 Reg.D No. 020231" (some of the numbers are a little unclear).